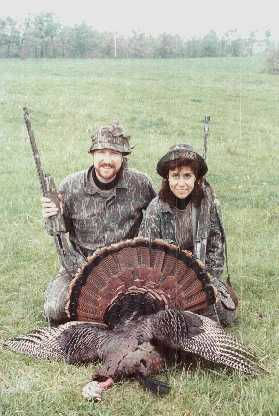 Another shot of Jane's first turkey, only with the proud guide in attendance. <G> This was a very, very fun and interesting hunt. I called him from a loooooong way away, and she shot him with less than 5 minutes remaining in the shooting day (ends at 1PM in MO).